Brokers have long enjoyed an indispensable role at the heart of the insurance industry. They help customers navigate complex decisions and provide services in times of need. Today, however, that foundational function is increasingly at risk. As in so many other sectors, digital disruption is overturning long-held orthodoxies about the role of the insurance industry’s middlemen. Data and analytics will soon be able to determine risk and insurance program structures and identify the best carriers for specific risks more accurately and more quickly than the most highly experienced broker. Indeed, disruptors—both new entrants and incumbent players—are already leveraging such digital tools to lure customers with convenient, customized offers that promise to reduce risk. Consider, for example, Simply Business, an online-only broker that uses data-driven analytics to develop tailor-made products for small and midsized enterprises (SMEs). Brokers won’t disappear. Their skills and experience will still be critical for many customers seeking independent advice. But remaining truly relevant in the new, digitized insurance ecosystem requires traditional brokers to become brokers of the future: digitally sophisticated, and, by focusing more on strategic risk advice, able to deliver the transparency and control that today’s customers need. Evidence from other sectors suggests that rewards for early movers can be substantial. 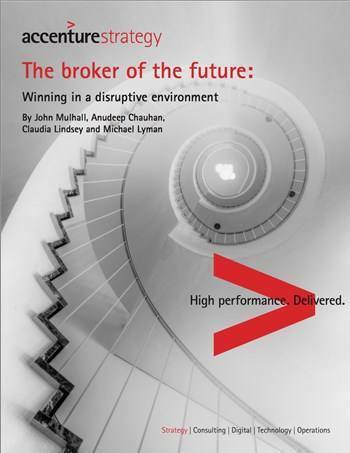 First, however, brokers need to understand the full scale and nature of the disruption they face.